Greentree Mortgage Company, L.P. in Egg Harbor Township helps homeowners secure FHA loans. FHA loans allow you to purchase a home with a 3.5% down payment, or refinance a home up to 96.5% of the home's value. FHA loans are easier to qualify for, and offer several homeowners an easy way to secure financing. See if you pre-qualify for an FHA loan today! If you have an FHA loan that originated before June 2009, you may qualify for a streamline FHA refinance. This means that you can refinance your current FHA loan with a very simple process. Unlike the standard refi or loan application process, the Streamline FHA makes it easier. If you are currently over 4.5%, a new FHA program coud save you THOUSANDS! This program is easy to apply for and you can find out within minutes if you may apply for the FHA Streamline Loan. Take advantage of the lower interest rates and all of what this FHA program has offer. Call (609) 646-5555 for an FHA Streamline Refinance today! FHA loans originate from the Federal Housing Administration and are insured by HUD (US Dept. of Housing) so that lenders can offer more affordable mortgage rates. FHA loans require lower down payments and closing costs. There are even options for financing 100% of the loan, and several grant programs that provide FHA loan customers financing for the down payment. FHA loans offer options to those who've undergone bankruptcy or foreclosure. They're available to first time homebuyers, refinancers and anyone who's purchasing property and doesn't already have an existing FHA loan. The guidelines for debt ratio and job qualifications are more lenient than a conventional loan. You may refinance your home loan with an FHA loan if you don't currently have an existing FHA loan. Refinancing options include fixed, adjustable (ARM) and buy-down mortgage rates, although most buyers have a fixed-rate FHA loan. Refinancing with an FHA loan is allowable even if you're late on your current mortgage or facing foreclosure. FHA loan applicants find that FHA loans do not have as strict of income guidelines nor credit history as conventional loans. FHA loans offer competitive rates for those in foreclosure or bankruptcy. There are also options for loan consolidation with FHA loans. Need two years of consistent employment - preferred by the same employer. Income over the past two years is the same, or increasing. Credit guidelines vary; please ask Greentree Mortgage Company, L.P. for details. Foreclosures must be 3 years old; good credit since the foreclosure. Mortgage payment of your new home must be around 30% of your gross income. 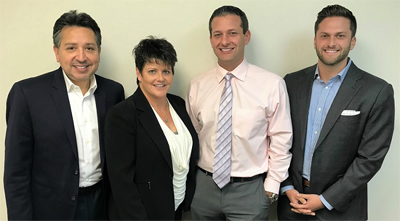 To see if you pre-qualify for a FHA home loan, contact The Malamut Team: Jim Malamut, Nadine Feldman, Juan Jordan & Greg Malamut today at (609) 646-5555.